Whether you want a family holiday, a romantic getaway or to celebrate the end of university with your friends, chartering a yacht is always an exciting idea. Here’s everything you need to know to have the holiday of a lifetime. To choose the right yacht, you need to set yourself a budget and a time frame. After making those key decisions, you can approach a company who will be able to help you make your final choice. It is also helpful to have an idea of where you want to go and with how many people, but if you get in touch with The Big Sail, we can help recommend destinations based on the type of experience you are after. You also need to decide if you want a skipper when booking. A skipper can take you on the best route and will stop off at all the best places throughout your trip, offering invaluable local knowledge. They can even ‘show you the ropes’ if you are interested in learning to sail. If you choose not to have a skipper, you will need to meet the minimum qualification requirements for bareboat charters. These alter for different companies and areas, but as a general rule, one member of your group must have an International Certificate of Competence (ICC) for sailing, or a RYA Day Skipper certificate as a minimum requirement, and in Croatia you are also required to have a VHF Radio license. Even if you are qualified, you might choose to take a skipper to allow you to relax and make the most of your holiday. When booking your yacht, you need to be aware that the quoted cost might not be your final bill. This is because this fee might not include the price of fuel, food, alcohol, port fees and more. At The Big Sail, we don’t like hidden fees, so we always try to give you an accurate estimate of these extras at the time of booking. For port fees, fuel, tourist taxes & national park fees we usually advise that the additional cost would be approximately £50 per person, per week. Once you have chosen the right yacht, you will be required to fill out some essential paperwork. 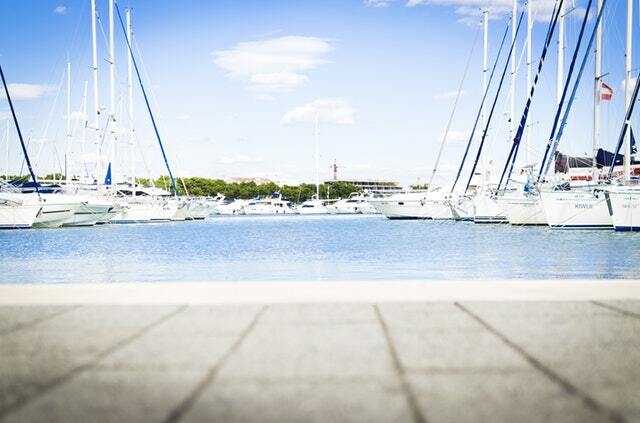 For example, if you are looking to sail in the Mediterranean, your yacht will most likely be chartered under an agreement put together by the MYBA, The Worldwide Yachting Association. This contract is normally signed by the head of your party, the owner, the stakeholder and the broker. Charterer companies will have their own insurance for the yachts, although you will be asked to pay a refundable damage deposit to cover the excess of this insurance – usually €1500-2500. There is also usually an option to opt for a non-refundable damage waiver of €250 that covers you in case of any damage to the yacht – you usually need to specify in advance if you would like to choose a damage waiver for your yacht charter. It is also essential that each member of your group has accident and medical insurance and that you insure personal items. There are only a few essentials required on a yacht: flip flops, a swimming costume/trunks, a towel and sun protection. The rest is up to you, although if you book with The Big Sail we will send you our recommended packing list along with some other tips and tricks to prepare you for the perfect sailing holiday! We hope this has been useful and sets you on your way to chartering the perfect yacht. Enjoy your trip!